Our entire car donations program is handled by our Transition to Work apprentices. These individuals apply for and serve as apprentices for up to a year and a half, receiving supplemental education and training as they transition towards self-support. Our trainees include those transitioning off of the welfare system, those completing residential or outpatient treatment for drug and alcohol abuse, youths from impoverished or high crime neighborhoods seeking a high school diploma or emancipating out of the foster care system; and those seeking to get out of, or stay out of gangs and veterans . Our trainees have little or no job training but are interested in obtaining marketable skills. Our emphasis is on those who truly have a desire to change their lives. We provide them with the necessary tools and training for them to get into the workforce and back on their feet. After 18 months, most earn well over minimum wage, are very effectively trained and are viable recruits with a variety of skills ready to join the workforce. All of these are crucial skills necessary to have in today’s competitive job market. At Center for Living and Learning we also offer courses, taught by mentors of our own "Transition to Work Program,” to prepare our clients for the various steps of searching for a job. The classes include such topics as resume writing, interview skills, mock interviews, as well as seek to implement methods for putting the past behind them. 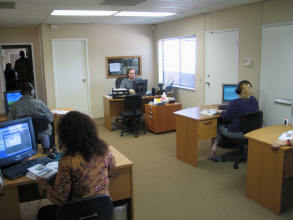 Computers, telephones and faxes, as well as individual guidance and mentoring throughout the job search process. Clients needing computer training are able to take courses in our computer course room as well providing them with valuable job skills. 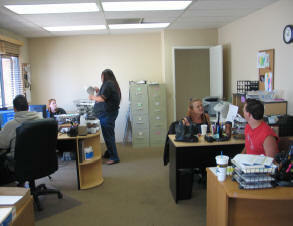 Additionally we offer Stress Management and Job Retention groups led by certified counselors. Here, our clients learn healthy coping skills related to job stress and other factors that individuals deal with while maintaining a full-time career. Furthermore, we assist clients with transportation to and from the center. We also offer a clothing assistance program to provide clients with appropriate attire for job interviews so they can dress for success and feel their best. Our goal is to provide our clients with the necessary tools, training and support they need to get on their feet again and back to work! Please join us in making a life-changing difference for these individuals and donate a car to charity today!